It has been a touch few years for Blackberry who have failed to commercialize their devices and operating system beyond the business community and a few thousand anarchic UK rioters. So with the terrible two seemingly gone from the top, how are Blackberry going to emerge now that they have had a little time to reflect on the future? The answer to that seems to be that they will focus on their core corporate clients and turn their back for now on trying to muscle in on consumer orientated Apple and Android markets. 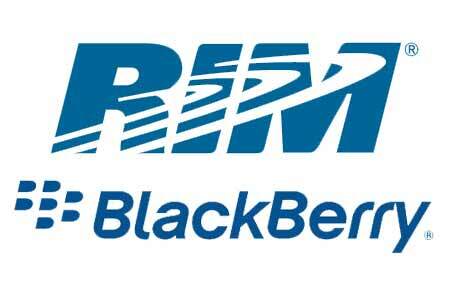 In the statement yesterday, the spokesperson also stated that the would be looking to partner with other technology providers in software and other areas that will allow RIM to move quicker and more cost effectively into areas that the are less experienced in. “We can’t do everything ourselves, but we can do what we’re good at,”. With a huge strategic review underway at research in motion, the new RIM will see a fair few stalwarts of the company who were there at the beginning leave in various ways. Co-CEOs Balsillie and Mike Lazaridis were replaced by Heins after they had recently lost the company tens of billions of dollars on their share value. Along with the demise of the CEO’s David Yach the chief technology officer for software and Jim Rowan, chief operating officer for global operation are also leaving. There is a major issue that RIM face right now and that is if there new version of the blackberry operating system, Blackberry 10 does not offer the option of running third part apps, then their new software could once again prove problematic as the shift is already underway and I would imagine that the longer this sea change occurs the harder it will be for corporations to justify yet another change back to a new device and O/S when so much is at stake during such a migration. Apple alone sold some 37 million iPhones in the last three months of 2011, which is 3x more than what RIM shipped in the last three quarters combined. And with the Playbook flopping despite being hailed as a good quality device, you can see that the path out for RIM is going to be uphill and more than likely take a few wrong turns on the way. So how long can RIM take to bring about the change that is needed? Well RIM shares have seen a decline last year of quite a significant margin, but the ship does seem to have stabilized some what since then. With Net loss at around $125 million for the fourth fiscal quarter, this is an obvious loss, but not as much as the nearly $1 billion hit ($934 million) they took a year ago. And revenue has fallen short of expectations at some $4.2 billion from $5.6 billion. This has been reflected in the share price with RIM shares falling by 33 cents to $13.40 which see a 2.4% drop.